Many of the WooCommerce store owners prefer UPS Shipping services to deliver shipments across the world. UPS serves as a complete solution for the online store owners. One such store owners, Brian, who has an online electronic store based in Georgia, USA, came up with an issue regarding the return shipping label. We have decided to provide return shipping labels with the package instead of providing them separately afterwards. But I am not able to find the option to include the return labels. 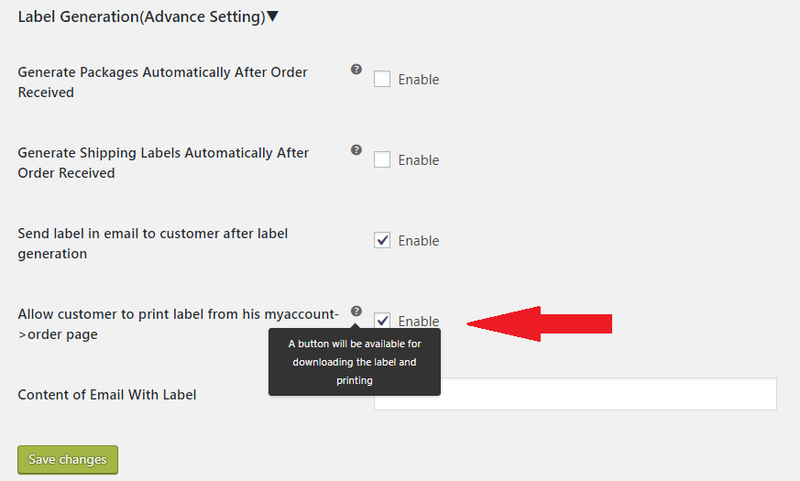 Also is there any way the customers can have access to the return label automatically? Now let us see how Brian can include the return shipping label with his orders. 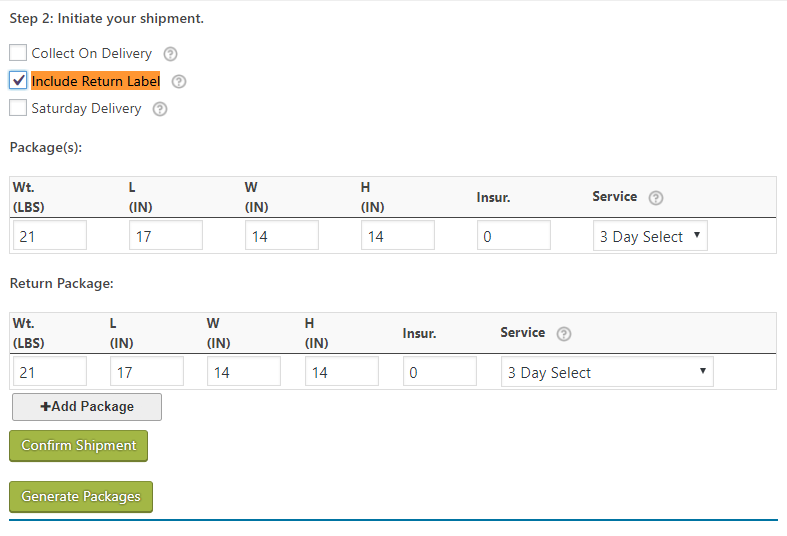 Also how his customers can access the return label easily using UPS Shipping plugin. Using UPS Shipping plugin, the store owner can print both the shipping and return label directly from the back office. To enable printing the return label, the store owner need to select the option to Include Return Label to the shipment. Only then the return label will be generated with the order. The image below shows where you can find the option to include Return Label to the order. 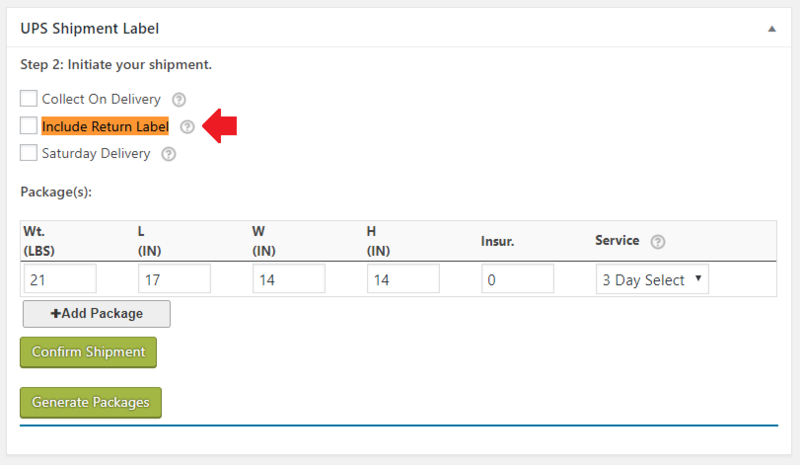 After this when the store owner will confirm the shipment, UPS Shipping plugin will automatically generate a shipping label as well as a return label. Similarly, it will also generate two tracking numbers so that the store owner can track the shipments both to and from the customers. So this is how Brian can print the shipping label and include the return label with the shipment. One other thing that Brian wanted was a way for the customers to be able to have access to the shipping labels. UPS Shipping plugin also enables the store owners to provide this much flexibility to its customers. After enabling this option, the customers will be able to download both the shipping as well as the return label, directly from Orders page in My Account option on the website. The customer will be able to download the shipping labels from their orders page itself. 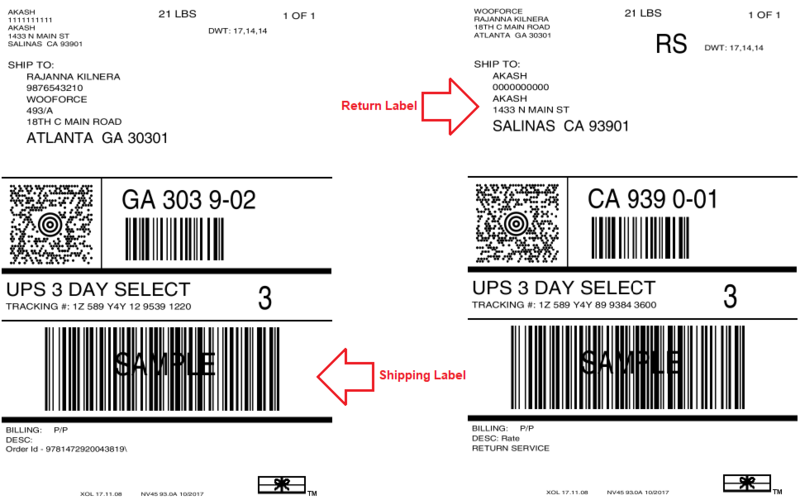 Here is an example of both the shipping as well as the return labels for the order above. So this is how UPS Shipping plugin can help WooCommerce store owners like Bryan by giving them a complete shipping solution for their business case.